This is a selected list of publications. If you'd like to see a paper not available online, please contact me. Nichols, S., Strohminger, N., Rai, A., and Garfield, J. (in press). 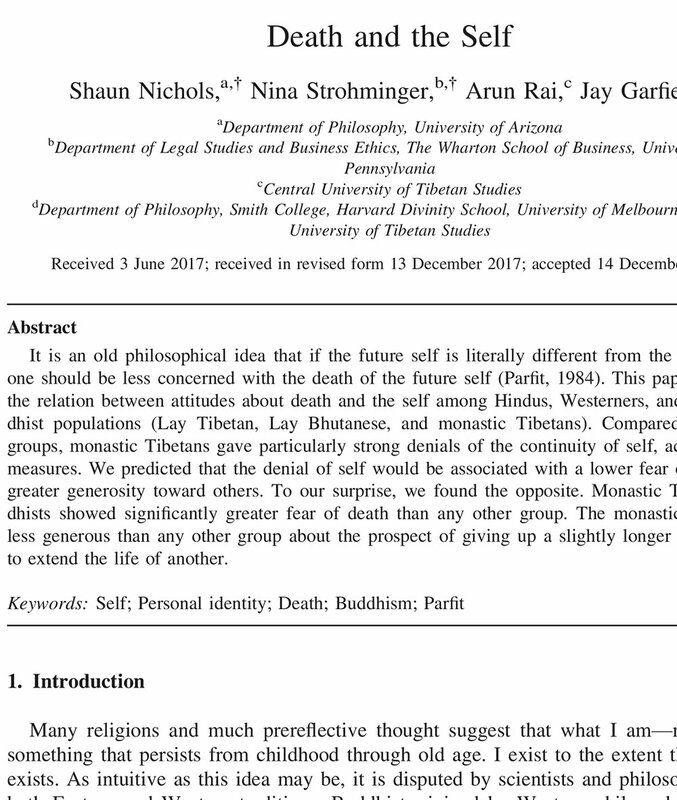 Death and the self. Cognitive Science. Strohminger N., Newman, G., and Knobe, J. (2017). The True Self: A psychological concept distinct from the self. Perspectives on Psychological Science, 12, 551-560. Strohminger N. and Nichols, N. (2015). Neurodegeneration and Identity. Psychological Science, 26, 1468-1479. Strohminger, N. and Nichols, S. (2014). The Essential Moral Self. Cognition, 131, 159-171. Strohminger, N. (2014). Disgust Talked About. Philosophy Compass, 9(7), 478–493. Strohminger, N. (2014). The Meaning of Disgust: A Refutation. Emotion Review, 6(3), 214–216. Strohminger, N. (2014). Grasping the nebula: Inelegant theories for messy phenomena. Emotion Review, 6(3), 225–228. Strohminger N., Lewis R.L., Meyer D.E. (2011). Divergent effects of different positive emotions on moral judgment. Cognition, 119, 295-300. Liao, S., Strohminger N., Sripada, C. (2014). 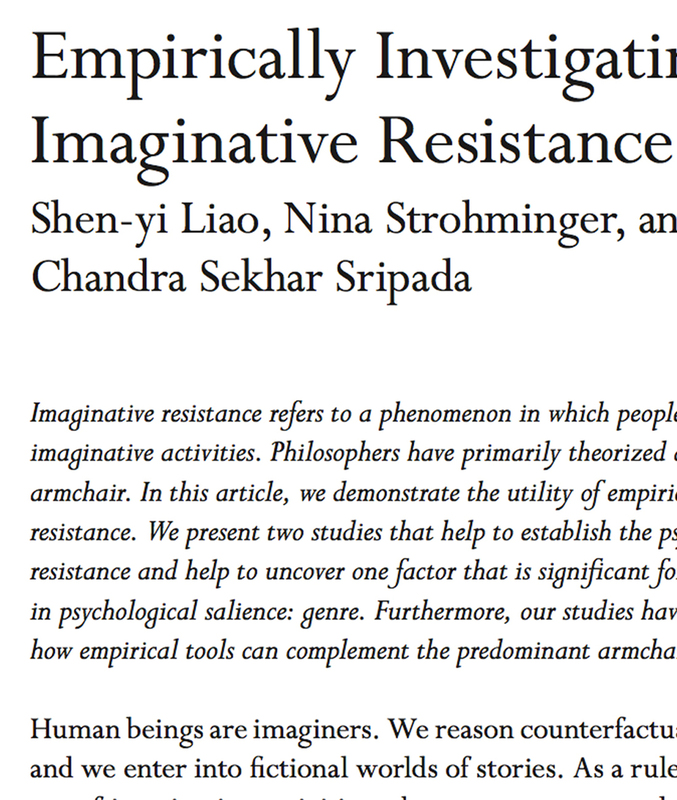 Empirically investigating imaginative resistance. British Journal of Aesthetics, 54(3), 339–355.